New Orleans has an incredible cocktail culture, dating back to the 1800s. It’s home to two booze-themed museums: The Museum of the American Cocktail and The Absinthe Museum of America, it’s the birthplace of Peychaud’s bitters, it boasts multiple signature cocktails like the Sazerac and the Ramos Gin Fizz and it hosts “the most spirited event of the summer”, the annual Tales of the Cocktail. I was therefore quite surprised by the following. I couldn't bring myself to sample one. 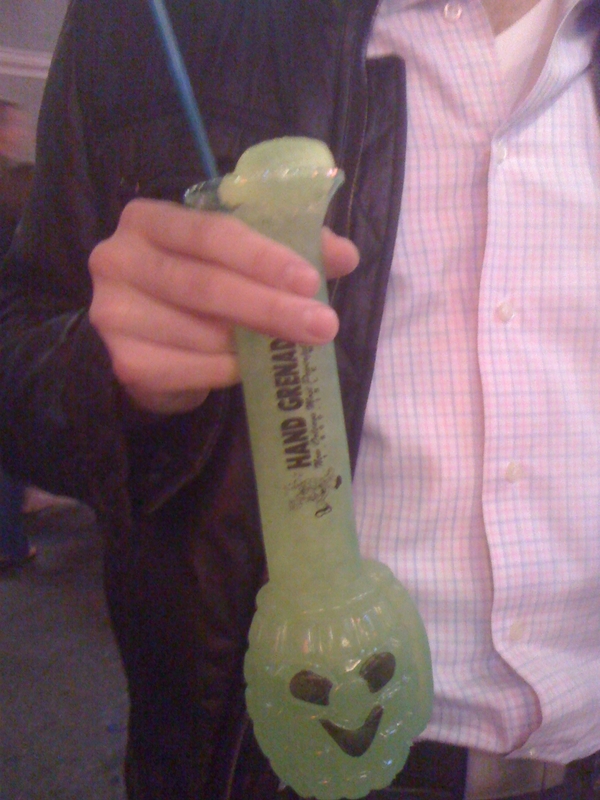 These "hand grenades" were all over town. The bright green is not from the cup, but rather it's the actual color of the drink. When I inquired about the drink, all the bartender would say was it's "melon-flavored" and the recipe is a secret (then he proceeded to fill the cup from a soda gun). The best part of this drink was the plastic grenade garnish. Fortunately, the evening was saved when we made our way to Lafitte’s Blacksmith Shop Bar. Built in the 1720s and named after a hero in The Battle of New Orleans, it boasts the oldest structure used as a bar in the United States. We had Planter’s Punch. 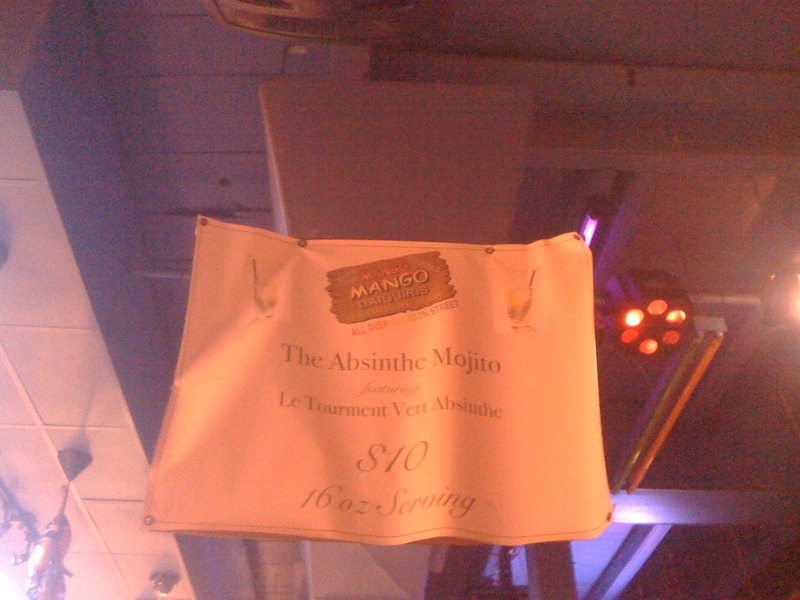 The first printed reference to this drink was in the New York Times in 1908. I’ve seen little agreement across recipes: some suggest Jamaican rum, others list a combination of light and dark rum, some suggest almond syrup, while others use superfine sugar and the citrus ranges from lemon to lime to orange. I think the one I had contained pineapple juice. Here’s Dave Wondrich’s recipe that appeared in Esquire. Stir the above over ice and pour into a well-iced collins (highball) glass. Garnish options: citrus of your choice, pineapple, cherry.